More than 500 Fair Food supporters joined the Workers’ Voice Tour in an unforgettable march through Columbus, Ohio, last spring. Pull out your calendars, Fair Food Nation, it’s time for Wendy’s — and the nation — to return to human rights! Today, we are announcing the dates of the CIW’s big spring action, the annual event that has become the hallmark of the Campaign for Fair Food for nearly two decades, from the first Taco Bell Truth Tour in 2001 to next spring’s Return to Human Rights Tour. 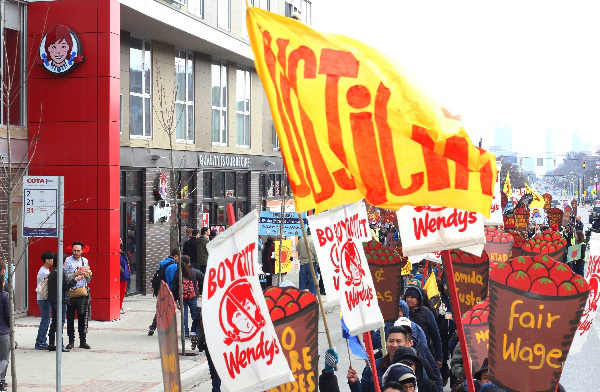 From March 16th to 29th, 2017, CIW members and their allies will embark on the longest protest action in the last 10 years of the Campaign for Fair Food, joining thousands of consumers in mobilizing for the national Wendy’s Boycott. 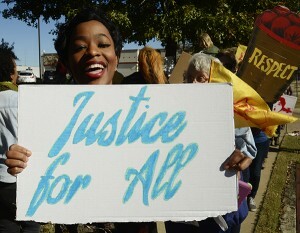 The Return to Human Rights Tour will travel to the heart of Wendy’s territory for a major action in Columbus, Ohio, on March 26th, and will end the following week with a massive vigil in Tampa, Florida — stopping in nearly a dozen cities over the 13-day journey, including Atlanta, Chicago, Minneapolis, and more! ACTION ALERT: Post a video for “Wendy’s the Grinch” action TODAY!